Passing by, originally uploaded by e-jump. 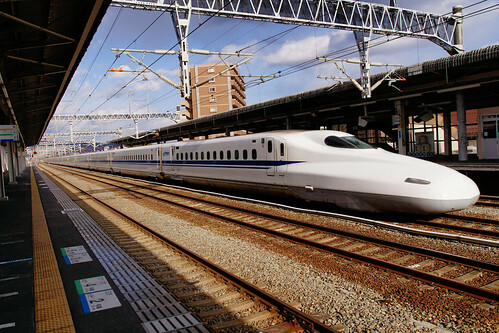 This is the Hikari N700 Shinkansen i believe, passing thru at 200KMh+ at Kodama Station HigashiHiroshima. Theres a few station in Kansai/Chubu where the Nozomi and Hikari passing through at top speed. 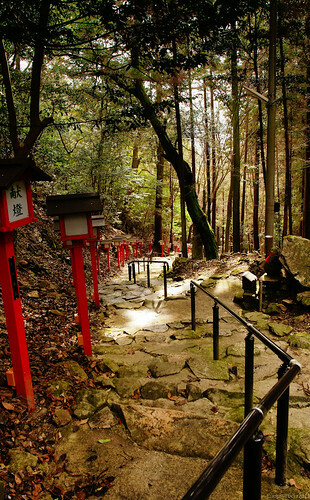 Lantern path, originally uploaded by e-jump. Those are actually lantern, or light poles that stiill use candles and paper cover. During my Bishamondai Mt hike. Memorial, originally uploaded by e-jump. 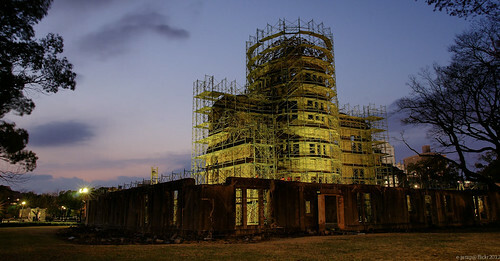 Its the A-Bomb dome in Hiroshima, that still stands till today. Theyre doing some maintenance for preservation.